The 2016 Rio Summer Games has officially begun! Having you been tuning in to all the events like we have? League of Angels has prepared a series of special offers for all our players to enjoy in LoA while you watch some world-class competition! Now let’s take a look at what LoA has in store for you! League of Angels has prepared an EXCLUSIVE TOKEN for the Rio 2016 Summer Games! 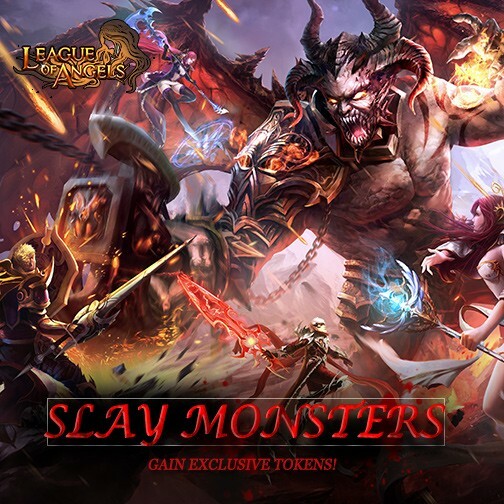 Slay monsters in Elemental Zone and you will acquire plenty of them! With this token, you can exchange for great items in Hot Events. Whether you want to gain Armament chests to equip your mounts, or more resources to become a Tycoon, you use these tokens to make it happen! But keep in mind that these Tokens are only for this special Summer Games event! Now hurry and conquer Elemental Zone (All you need is enough Stamina)! 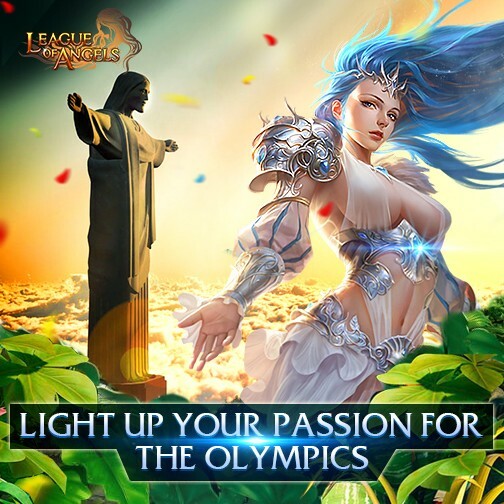 Apart from the exclusive token, League of Angels has prepared a Rio Olympic Game Chest which contains various hot items for all players! Starting August 4th (server time), players can get the chests in Hot Events by completing the required tasks in game. Don’t worry, the tasks won’t be that difficult! Do you remember the Roman Fashion we introduced to you last week? You will be able to dress up in this new fashion if complete your tasks! In addition to the exclusive tokens and chests, LoA has prepared another series of events to celebrate the opening ceremony of the Olympics. Elianna, the new angel, will show up in SS Resource Tycoon. And you can exchange her for the popular Snow Queen if you reach certain points. Also lots of Olympics-themed components are available in Homestead. You can create yourself a unique Olympics village if you want. We hope players will have a great time during the Summer Games and have fun with during the special events! Cheer for your favorite Olympians, cheer for your country, and enjoy the Summer Games!